The Russian ruble has plummeted to an historic low against the U.S. dollar. However, the Central Bank has stopped conducting large-scale currency interventions and selling U.S. dollars to stabilize the exchange rate. A devalued ruble benefits Russian exporters, but it deals a tough blow to players on the domestic market. On September 30, the Russian ruble fell to its lowest ever rate against the U.S. dollar. However, despite incredible pressure on the national currency, the Central Bank is not selling U.S. dollars. The regulator had previously performed currency interventions as a tool to stabilize the exchange rate. 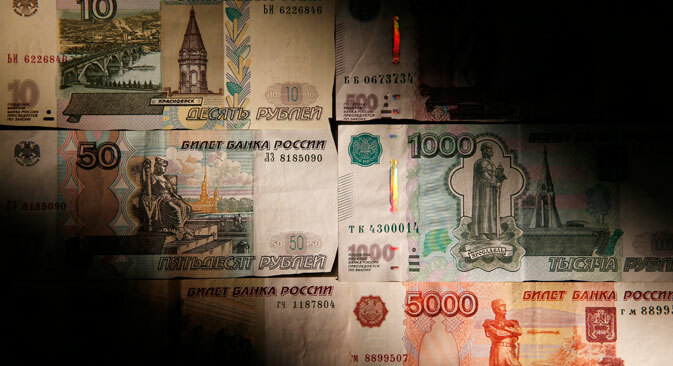 “Data about Central Bank currency interventions are published at a delay because trade is based on calculations for tomorrow,” Mikhail Khromov, a research fellow at the Russian Academy of the National Economy and Public Administration’s Institute for Applied Economic Research, told RBTH. Many Russian companies – exporters, to be precise – are winning big from the falling ruble. The press service of Rusal, one of the largest aluminum producers in the world, told RBTH that the company has increased the outlook on its financial results because of the devaluation. “Only 50 percent of MMK’s costs are denominated in rubles. So now that the ruble is devaluing against the U.S. dollar, we are reducing ruble spending in dollar terms,” a spokesperson for MMK told RBTH. For industries focused exclusively on the Russian market, the effect of a weakened ruble is not as clear, as Alexander Kostikov, a spokesman for the Cherkizovo Group, one of the leaders on the Russian livestock market, told RBTH.